teanamu chaya teahouse > teahouse stirrings blog > Robert Fortune: tea thief or hero? This is the story of a Victorian scientist who loved China, its people, its language, its landscape, and above all its beautiful flowers … but who is also notorious as the man who stole tea away from China. It is a story that deserves to be much better known! 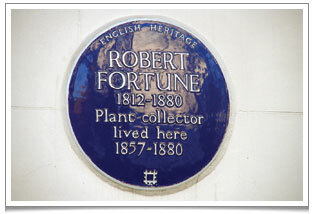 Robert Fortune was a Scottish botanist who was commissioned by the Royal Horticultural Society to research the exotic flora of China. He made two long journeys there in the 1840s and was absolutely awe-struck by the landscape he discovered. He learned Mandarin in order that he could travel freely, collecting seeds and learning as much as possible about this ‘strange’, beautiful and somewhat dangerous land (robbers on the highway were a common problem at this time). Fortune encountered for the first time ericaceous rhododendron, winter jasmine, forsythia and ‘new’ varieties of magnolia, all of which amazed people when he took them home to Britain. He introduced 120 species of plant to the West in all. His journey is vividly described in his book “A Journey to the Tea Countries of China” (1852). In Fujian Fortune learned the secrets of tea plant care and the processing and oxidising of tea leaves. He was the first westerner to discover that green and black tea are from the same plant – a Swedish botanist, Carl Linnaeus, had argued the exact opposite! Fortune’s fame spread across Europe, with French naturalists and botanists writing of their eternal gratitude. Actually a lot of this research was done in conjunction with another renowned botanist, James Herbert Veitch. All together this first long journey through China lasted three years. Fortune’s second visit to China was very different. This time he came as a spy, on a secret mission on behalf of the British East India Company to steal away the secrets of tea. It was 1848, and Fortune arrived in Shanghai, disguised in Chinese dress and with a shaved head save for a pigtail. He was assisted in the subterfuge by two Chinese servants who travelled with him. His goal was to journey to Tong Mu Guan (桐木关) in the Wuyi (武夷) mountain region of northern Fujian province, where he would illegally acquire not only plants and seeds but also all the requisite intellectual know-how, in the form of eight expert Chinese tea masters who would travel back with him to Kolkata to train up farmers and processors of tea. His cargo actually contained 20,000 tea plants – contained in sealed bell jars which a Professor Ward had realised some years earlier would allow tea plants to survive long sea voyages – and these ‘bohea’ (i.e. Wuyi 武夷) tea plants that would become the foundation of a thriving Indian tea industry that still exists today. 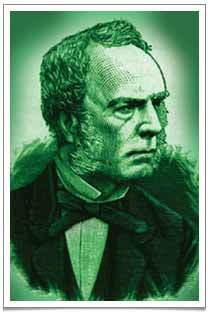 The distinguished Scottish botanist/spy Robert Fortune, every inch the Victorian gentleman. In order to explain why it was so very important from the British point of view for tea to be stolen, I need to say a little about the context of the times. The Chinese government guarded tea very closely (on pain of execution, in fact) because they were well aware how valuable the secrets of tea potentially were for foreigners. Also, rather as in the 21st century, in the 18th and 19th centuries the British had difficulty paying for the huge imports they were buying from China (largely tea, back then). The Chinese insisted on being paid only in solid silver which the British had to buy, at high cost, from other western countries. The British had a number of responses to this difficulty, including trying to grow tea in their own territory – their Indian colonies – but this didn’t prove very successful, largely for lack of Chinese expertise. Another – highly immoral – strategy was to grow huge quantities of opium in India to sell to China in exchange for tea. The two ‘Opium Wars’ around this period were largely a reaction to these commercial tensions and resulted a great weakening of China and a corresponding rise in the confidence – and arrogance – of the British Empire. Thanks to the theft by Fortune, tea industries became well established in India (especially on the Himalayan foothills of Assam and Darjeeling) and Ceylon (Sri Lanka) and in due course these countries superseded China as the principal exporters of tea to Europe and America. Fortune went on to travel around Japan, during the Second Opium War, and there he ‘discovered’ the Chrysanthemum. He also visited Formosa (Taiwan). In his many writings he described the culture of the silkworm and the manufacture of rice, and introduced to the West the kumquat and many varieties of tree peony and azalea. He lived out his last two decades in West London, working in gardens and writing his books. Robert Fortune is the subject of a poem ‘Fortune Favours Tea’ by Britain’s Tea Poet Elizabeth Darcy Jones. It is part of her collection ‘Distinguished Leaves’ which is being launched on September 23. 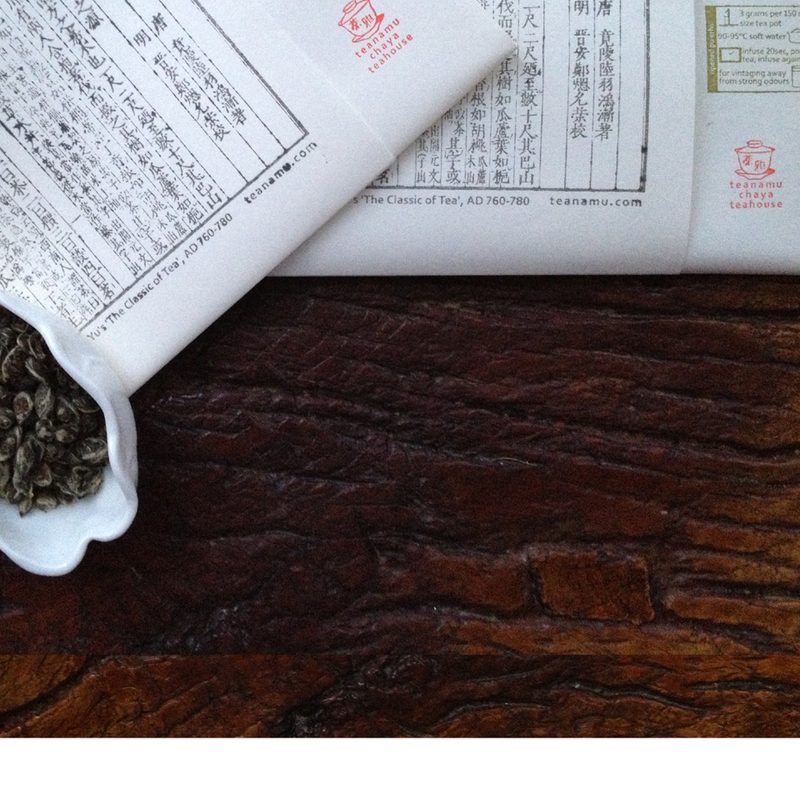 Please come to Chaya Teahouse and enjoy a preview of her poem about Dong Ding Oolong. In addition, Elizabeth has kindly agreed to give a ‘Pot of Poetea’ recital at Chaya Teahouse on September 10 (from 2.00 – 2.20pm), and she is also performing at a ‘Poetea Salon’ at Chaya teahouse on the evening of 22 September (details to be announced). Fortune’s biographer Sarah Rose has written that Fortune would not have seen himself as a thief. He probably took the view that the tea plant belonged to the whole human race, and that the Qing rulers of China should not have restricted the trade in it so severely. Nevertheless, he did in fact steal tea and this had huge economic ramifications for generations! Yet he was clearly a sincere lover of China and her flora and natural landscape. So my conclusion is, Robert Fortune was a complex, and certainly a fascinating and courageous man. It really is amazing how much impact one person has had on tea as we know it. India’s economy would surely be different if all of that had never happened. If Fortune returned to India with eight expert Chinese tea masters willing to train up farmers and processors of tea in Assam we can hardly ascribe the “theft” to him alone. Sounds like there was a willingness in some Chinese circles to assist with the disemination of tea and the breaking of the Qing monopoly and presumably they were paid for their services – as Fortune may well have done for the tea seed and plants. Indeed, every nation or civilisation has their fair share of black sheeps and has their protectionistic policies even till now. It is always very easy to point finger at others while ignoring the things a nation would do to protect it’s interests. I only found out about Fortune’s incredible story and “success” very recently from a French tea fanatic, Catherine Bourzat who wrote “voyage au pays du thé” – trip to the lands of tea. She actually followed a part of Fortune’s said route through China helped by his travel log to reenact his journey of discovery. What amazes me the most is that he is not just an important character in the history of tea but the main catalyst of it and yet there is so little awareness about his exploits and achievements. I’m working for India’s 2nd biggest Tea producers and when I brought up the subject of Fortune wth senior staff, not one had ever heard of him! I think a film ought to be made! Hi Bob, I’m very glad you find this blog post useful. Mr. Fortune is indeed a very important character in the history of tea; regardless of how you judge his actions.